These are the highest quality European low friction rubber sealed TIMKEN bearings available. If you're looking for the absolute best front wheel bearings, these are the ones you need. 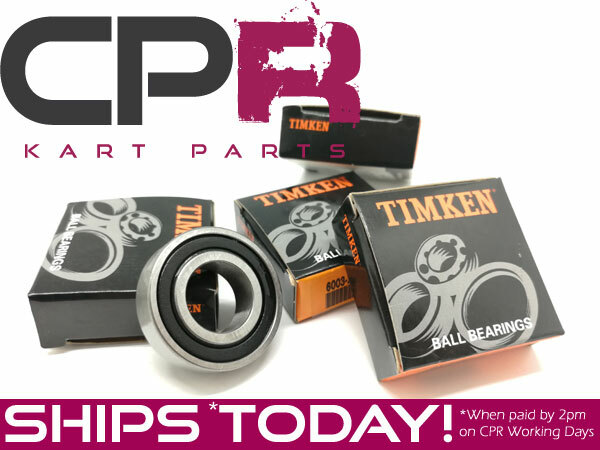 These premium race grade TIMKEN bearings are a non-contact rubber seal style bearing which provide maximum speed and minimum friction. These are the best bearings on the market right now for racing kart front wheels by a mile compared to our SKF model which have contact-rubber-seals that introduce friction.